ProCam Services LLC. Has Added a 2nd Shift! In an attempt to reduce our lead times and ultimately better serve our customers ProCam Services LLC. has added a 2nd shift to both our machine shop and our router divisions. We pride our selves in delivering most of our projects in a week or even much less but we believe that there is always room for improvement and that our customers need their projects fast. ProCam Services LLC. 's flexible and cross trained staff working on two shifts should be able to complete your project in 1-2 days or even faster! Some Recent Projects At ProCam Services LLC. 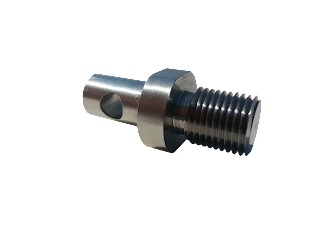 The stainless steel component shown above was machined on the CNC Lathe and CNC Mill at ProCam Services LLC. 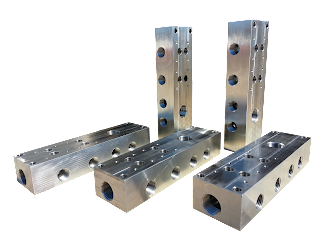 The stainless steel water manifolds for the food industry shown above were machined in six set-ups at ProCam Services LLC. These manifolds required some deep drilling applications and thread milling a variety of NPT threads. 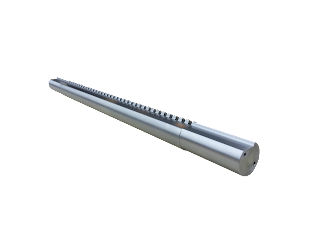 The steel guide shaft shown above was manufactured for a special fixture. It was turned and milled at ProCam Services LLC. The ends and outer diameter were machined on the CNC Lathe, the guide teeth and end holes were added on the CNC Mill at ProCam Services LLC. 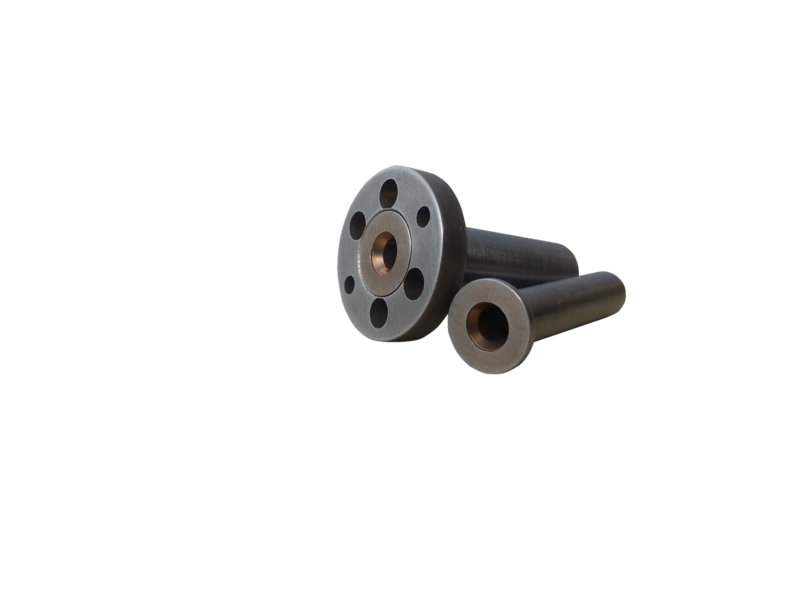 The aerospace components shown above were turned and milled out of A2 to tolerances of +/- .0005 and hardened to 60rc at ProCam Services LLC. 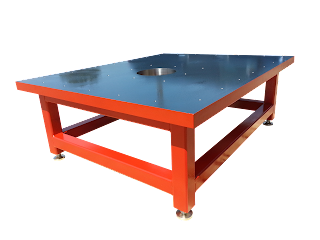 The robot mounting table shown above features machined components held to tolerances of +/- .001 manufactured and delivered complete at ProCam Services LLC.